It's a really good time to be a Jurassic Park fanboy. 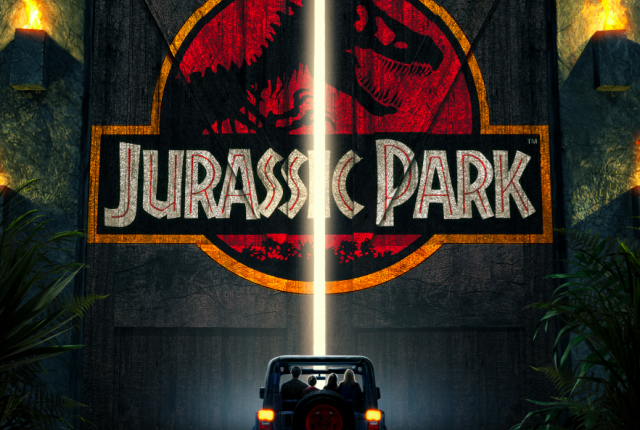 With Colin Trevorrow's Jurassic World, the long-awaited fourth movie in the franchise, eating the box office alive, new life has been breathed into a fan base that fell in love with Spielberg's original dino thriller in 1993. Jurassic fans are connecting more than ever in 2015, absorbing the awesome Jurassic Cast podcast, flocking to cool Tumblr blogs like Jurassiraptor and Jurassic Daily, sinking their teeth into websites like Jurassic Park Legacy and JurassicCast.com, dedicating Pinterest boards to the movies, and generally sharing their roaring love for Jurassic Park via every channel you can imagine. You cannot help but appreciate how Jurassic World brought us back to our childhoods in a time where sharing your fanship with others and forming fan communities is easier than ever. A whole new frontier has opened up. It's a thing of beauty how Jurassic fans are finally coming together ... 22 years after Spielberg's first movie was released! I decided to take part. Over the next few weeks, I will be re-rereading Michael Crichton's book, offering in-depth analysis and comparisons to the movies. There will also be some lighter, different-angled blog posts, so be sure to tune in regularly! by James Watson and Francis Crick, who co-discovered the structure of DNA, set in motion the rapid development of biotechnology. It sparked all types of ungoverned research including, among others, engineering paler trout for better visibility. In 1976, Robert Swanson and Herbert Boyer, a businessman and a bio-engineer, respectively, founded Genentech. This started a race to commercialize biotechnology. It was during this time that International Genetics Technologies (InGen Technologies) was founded in Palo Alto, California. In October 1989, the company filed for Chapter 11 bankruptcy. The unpublicized cause? A "genetic crisis" that happened over the course of two days in August of the same year, west of the Costa Rican coast. Let's dig like Alan Grant. discovered the double helix structure of DNA. Their discovery solved the puzzle of reproduction, changing our understanding of life forever. The famous double helix consists of two intertwined sugar and phosphate chains, linked by four kinds of chemical bases - A, C, G and T - which make up the genetic code. Check out the full story. Spearheaded by our ever-increasing command over DNA at its core, Robert Swanson and Herbert Boyer indeed founded Genentech in 1976. Together Swanson, the venture capitalist, and Boyer, the biochemistry and biophysics professor, perfected the technique for snipping out DNA and combining it with fragments of DNA from another organism. Check out the full story. Chapter 11 bankruptcy is a chapter in the US Bankruptcy Code. It is available to every business, whether organized as a corporation, partnership or sole proprietorship, and to invididuals, and it permits reorganization under the bankruptcy laws of the United States. It states that when a business is unable to service its debt or pay its creditors, the debtor can remain in control of its business operations as as a debtor in posession, albeit under the oversight and jurisdiction of the court. InGen's main investors are Japanese investment syndicates Hamaguri and Densaka. They were two of the very few investors willing to wait five years before gaining return on their capital. 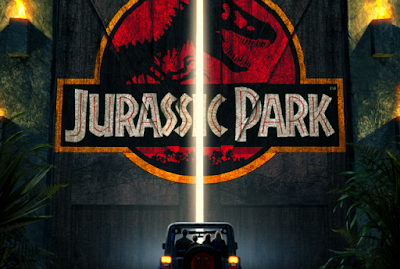 The Jurassic Park disaster takes place over the course of two days in August, west of the Costa Rican coast. Jurassic Park (1993) - Neither duo is mentioned by name, but I like to believe that Ian Malcolm wasn't referring solely to Hammond's scientists when, during the lunch scene, he said: I'll tell you the problem with the scientific power that you're using here, it didn't require any discipline to attain it. You read what others had done and you took the next step. You didn't earn the knowledge for yourselves, so you don't take any responsibility for it. You stood on the shoulders of geniuses to accomplish something as fast as you could, and before you even knew what you had, you patented it, and packaged it, and slapped it on a plastic lunchbox. Jurassic Park (1993) - At the very beginning of the group's visit to Jurassic Park, the goofy Mr. DNA explains, in a perfectly crude and simplistic animation video, how baby dinosaurs are made. The video contains a cut to a laboratory screen, showing a DNA strand following the model of Francis and Crick. The Lost World (1997) - We learn that Peter Ludlow, Hammond's nephew, is elected the new CEO of InGen. He is tasked with solving the company's imminent bankruptcy. Jurassic Park (1993) - When an incident results in the death of an employee, Jurassic Park's investors demand that experts visit the park and certify that it's safe. The firms, however, remain unnamed. Jurassic Park (1993) - Early in the movie, John Hammond reveals that he owns an island "off the coast of Costa Rica" and that he has "spent the last five years setting up a biological reserve." He also states that the park will open in the Fall, suggesting that JP takes place somewhere between January and August.